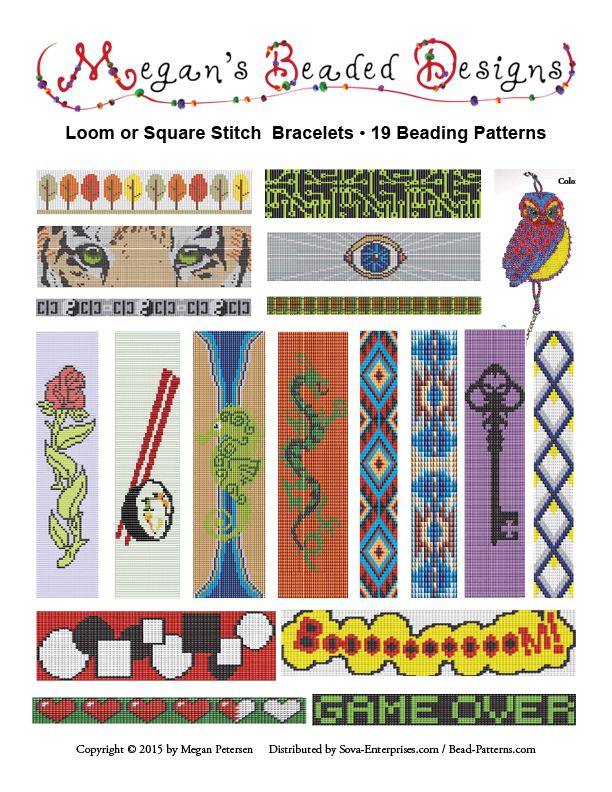 This listing is for an extensive collection of bracelet patterns designed for loom or square stitch. This 48-page PDF download contains a wide variety of 19 different designs. Buy the bundle and save well over 50% off of buying each individual pattern! All of the patterns contain a realistic thumbnail image, and an enlarged, full-color chart for easy following. Specific color numbers or beading supplies are not included.